83 new entries added to protest slogans, that include pictures. 1. Refugees Welcome! A protest (also called a remonstrance, remonstration or demonstration) is an expression of bearing witness on behalf of an express cause by words or actions with regard to particular events, policies or situations. 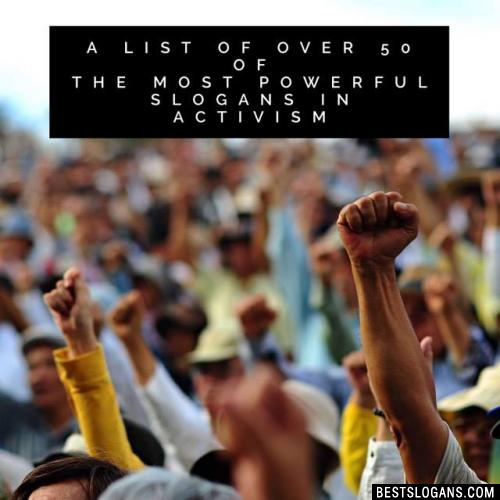 Here are a few more facts that you may not know about potests and protesting. 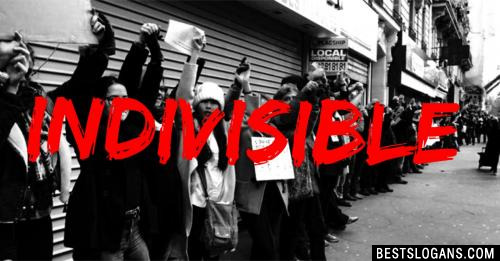 Unaddressed protests may grow and widen into civil resistance, dissent, activism, riots, insurgency, revolts, and political and/or social revolution. Blogging and social networking have become effective tools to register protest and grievances. 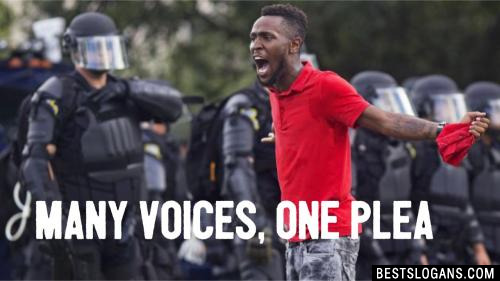 Protests can express views, news and use viral networking to reach out to thousands of people." The right to join with fellow citizens in protest or peaceful assembly is critical to a functioning democracy and at the core of the First Amendment. 2 The law he's breached, we must impeach! 6 Stand up for what is right, even if youre standing alone! 8 We are homies, not criminals! 9 End the war before it ends us! 10 We can't fix stupid but we can vote it out! 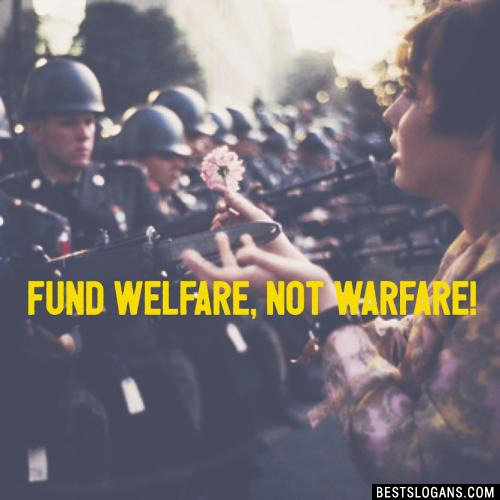 11 No taxes for war! 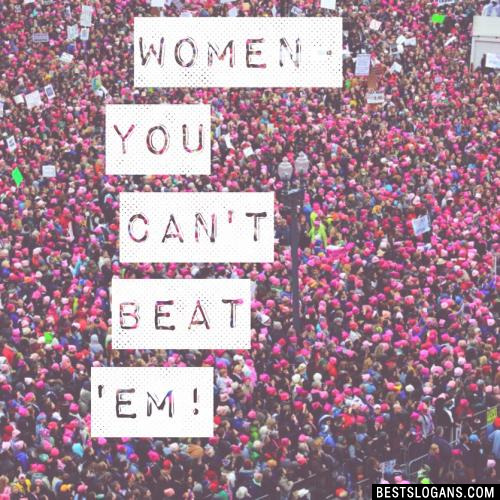 Women- you can't beat 'em! 18 Were all Gods children. SHE told me so. 19 Open arms. Open minds. Open yours. Can you think of a good Protest Slogans we're missing? Or come up with a clever one of your own. Please share below.